**To see an overview of the rankings of German universities in 2016/17, click here. While Germany has just one university ranked within the top 50 in the QS World University Rankings 2014/15 – Ruprecht-Karls-Universität Heidelberg, at 49th in the world – the nation boasts a total of 42 entries in the ranking, more than any country outside of the US and the UK. These 42 internationally ranked German universities are split amongst the numerous German states (Länder). While large numbers are concentrated in North Rhine-Westphalia, Bavaria and Hesse – the nation’s most populous regions – German universities are in fact very well distributed throughout the country, with major cities such as Munich and Berlin boasting no more than three top German universities each. Those looking to study in Germany will already be aware of the changes taking place within Germany’s higher education market. As of September 2014, all undergraduate tuition fees were axed for both domestic and international students. At the same time, the government has continued to invest in funding schemes such as the Excellence Initiative Grants Committee in order to provide almost €2 billion (US$2.52 billion) in grant money to 85 institutions, with a further €2.4 billion (US$3.03 billion) approved over the past two years in order to continue development across a total of 99 institutions. Technology is another frontier on which the nation continues to focus, helped by the recent establishment of TU9 (Technische Universität 9), an alliance of nine of the top technological universities in Germany, known for excellence in research and popularity among international students, with a 15% international student average at all TU9 institutions. Below are the top universities in Germany, divided by Länder, based on the QS World University Rankings® 2014/15. The most populous German state, North Rhine-Westphalia is located in the west of Germany and is home to approximately 17.5 million, some 22% of the nation’s population. 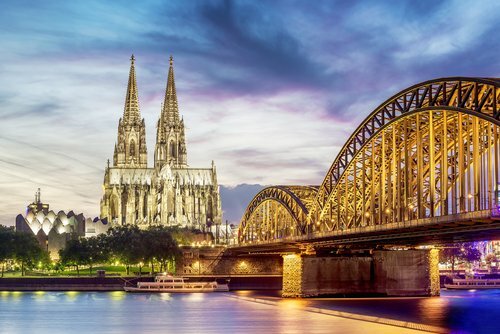 A prime location to study in Germany, North Rhine-Westphalia claims the highest number of top German universities (nine) and is home to the city of Düsseldorf (its capital) and Cologne (its largest city). Rheinisch-Westfälische Technische Hochschule Aachen is the top ranked university in North Rhine-Westphalia, at 147th in the world. It is the only TU9 member in the state and one of two institutions in the region to receive funding from the government’s Excellence Initiative. The other is Universität Köln. 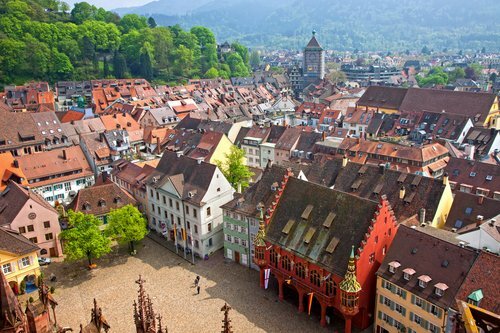 The third largest German state in terms of both population and size, Baden-Württemberg is home to 11 million people. 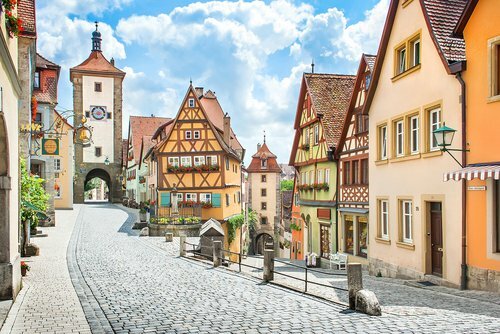 As well as thriving automobile, engineering and metallurgical sectors, Baden-Württemberg is famous for its fairytale forests and historic towns. Baden-Württemberg is home to two TU9 members (Universität Stuttgart and Karlsruhe Institute of Technology, KIT) as well as the highest-ranked university at which to study in Germany – Ruprecht-Karls-Universität Heidelberg. The biggest state by size and the second-largest by population, Bavaria is home to 12.5 million people. With diverse industry in technology, engineering, beer and tourism (anyone for lederhosen? ), the state’s top two universities two are Ludwig-Maximilians-Universität München and Technische Universität München (TU München), which both gain funding from the government’s Excellence Initiative and one of which, TU München, is a member of TU9. 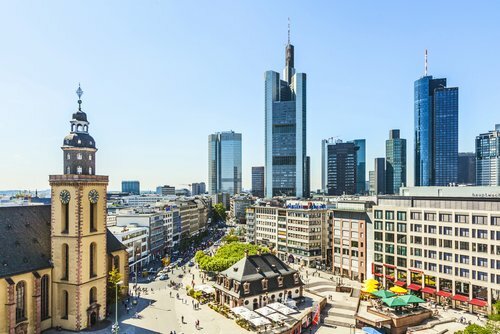 With a densely packed population of six million, the German state of Hesse is split between two of its biggest cities – Wiesbaden, the capital, and Frankfurt am Main, the largest financial center in continental Europe. Frankfurt is also home to the highest-ranked university in Hesse, Universität Frankfurt am Main, which is ranked 217th in the world. The Technische Universität Darmstadt (TU Darmstadt) is the only TU9 member in the state. 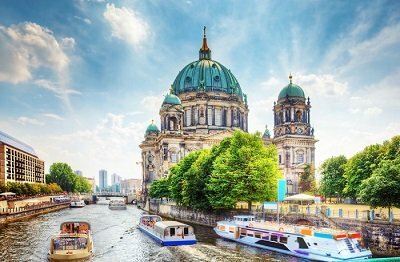 Both a city and a state, Berlin is a multicultural and cosmopolitan student city, the seat of the German parliament and government, and a hugely popular tourist destination for its culture and history. Berlin boasts three of Germany’s top-ranked universities, more than any other city. Of these, Technische Universität Berlin (TU Berlin) is a TU9 member. The last German state to get rid of its tuition fees, Lower Saxony is home to around eight million people, with key industry in automobiles and energy. As well as the historic, fairytale cities of Hamelin and Göttingen, Lower Saxony calls Hanover (or Hannover) its capital. Two of the three internationally ranked universities in Lower Saxony are TU9 members – Technische Universität Braunschweig (TU Braunschweig) and Leibniz Universität Hannover; the other, Georg-August-Universität Göttingen, is the state’s highest ranked. 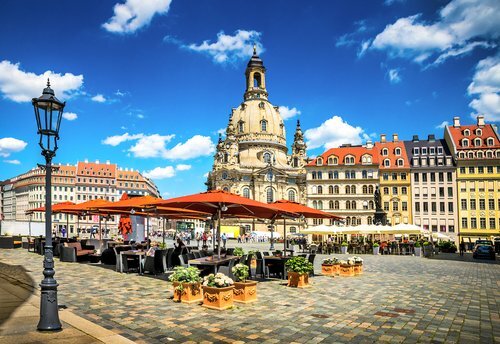 Home to ‘Silicon Saxony’, Europe’s largest micro-electronics industry, as well as rich culture, architecture and natural surroundings, the Free State of Saxony is home to just four million people. Dresden, the state’s capital, is home to the state’s only TU9 member, Technische Universität Dresden (TU Dresden). 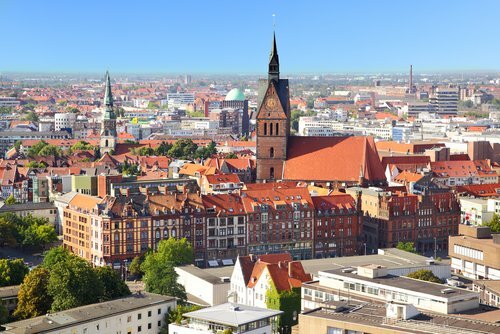 Seven more German states are home to at least one top German university, including the city-states of Hamburg and Bremen, two of the smallest states in the country. 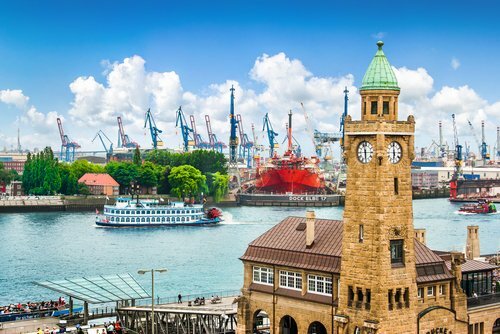 Hamburg is a cosmopolitan seaport, while Bremen is a historical city with strong industry in technology and engineering. The remaining five states featured within the rankings are Schleswig-Holstein, a maritime state; Rhineland-Palatinate, famous for good wine; Thuringia, home to a strong student population; Saarland, a culturally diverse state bordering France; and Saxony-Anhalt, famous for its arts and cultural institutions such as the Bauhaus Dessau. which can offer funding programs also? Thanks! I'm Nikhil from India. I'm planning to pursue masters in Media and Communications. Can you please suggest me some universities which can offer the same and also let me know what are the chances of getting a scholarship? hello, i'm manjil from Nepal. i recently completed my Bachelors degree in Development studies. can you please suggest me some well known universities in Europe for Masters degree in Development management or international development. Hi Manjil, I can't recommend any particular universities, but here's a link to our rankings by faculty for social sciences and management, with the results narrowed down to show only European universities. You could also try using our course finder to search for the right masters program for you. Hope this helps! Hi,this is Preethi from India.Iam currently pursuing my bachelors degree in Electronics and Instrumentation.Can you suggest some renowned universities of applied sciences in Germany for masters degree related to either Electronics or Automation. Hi Preethi, please take a look at our rankings by subject for electronics engineering, with the results narrowed down to show only German universities. Hope this helps. Hey, this is Amit from India wanted to go for masters in electrical engineering specialisation in sustainable energy and power. Can you suggest some good univ and chances of getting admitted at 6.5 Ielts score. Hi Amit, please take a look at our rankings by subject for Electrical Engineering, with the results narrowed down to see only German universities. Universities' preferred IELTS scores will vary, but I'm sure you could gain admittance with a 6.5. Hi my name is opeyemi. Am a Nigerian. i want to study Architecture in any free university. Have try a German university last year RUB universitat but the school request for German language fee of 500 and due to the late registration am unable to progress with the application. i want to know how sure the embassy will give visa cause paying an huge of money and at the end of the day no visa is granted, it will be an heartache. Hi Abin, please take a look at our articles on how to fund your graduate studies and where you can study abroad for free. If you're interested in studying in Germany, I'm sure you'll be pleased to know that it's one of the countries where PhDs are free. You can find out more about studying a PhD in Germany here. Hope this helps! Can i study in Germany ? i am Rahul Sharma age 22 and my last degree is high school. Hi Rahul, your high school diploma should be sufficient to gain entry to an undergraduate course in Germany. Depending on what country you're from, you may also need a student visa. For more information, please see our guide to studying in Germany and our frequently asked questions on studying in Germany. Hope this helps! Hi,I am Indian having BE degree in chemical engineering.I wanted the information regarding masters in chemical.I have appeared only in IELTS and awaiting results now. The university in which i am perusing my bachelor's in computer , we don't even get 70% and above marks in the exams where as other universities in my country it's fairly easy to get 70% and above.So do the German universities or others consider this fact while selecting the candidates for masters ? Hi Abenaa. 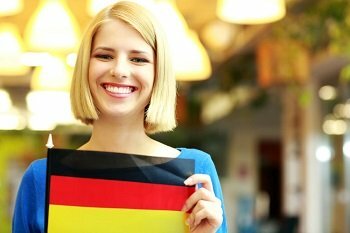 We have a list of scholarships to study in Germany here, and a guide to applying to universities in Germany here. Hope this helps!